(CBS News) Five new studies out of Denmark suggest that pregnant women who drink low to moderate levels of alcohol during early pregnancy may not risk neurological and psychological damage to their child. The studies - published in the June 20 issue of BJOG: An International Journal of Obstetrics and Gynaecology - however showed that drinking nine or more drinks per week was tied to a lower attention span when a child turned 5 years old. "High prenatal exposure to alcohol has consistently been associated with adverse effects on neurodevelopment," study author Dr. Ulrik Schioler Kesmodel, an associate professor of gynecology at Aarhus university in Denmark, said in written statement. "However, less is known about the effects of low to moderate, weekly average consumption levels and binge drinking." More than 1,600 women who were an average age of 31 took part in the studies, and were recruited following their first prenatal doctor's appointment. The researchers wanted to look at the effects alcohol had on a child's IQ, attention span and "executive function" skills - which relate to planning, organization and self-control - by the time the child turned five. Low average weekly alcohol consumption was defined as between one and four drinks per week, moderate as five to eight weekly drinks and high consumption was defined as nine or more weekly drinks. Binge drinking was defined as consuming five or more drinks in a single setting, and women who did not drink served as controls for comparison. One alcoholic drink in Denmark was defined as containing 0.4 ounces of pure alcohol, whereas the U.S. definition is 0.6 ounces of pure alcohol. Overall, the studies found that low to moderate weekly drinking had no significant effects on a child's neurological development - nor did binge drinking. Women on average drank around 17 weeks - the first trimester - and women who binge drank typically did it only once. There were no differences in IQ test scores or other tests that measured a child's executive function between those born to low to moderate drinkers and those born to women who stayed sober. The researchers did find that heavy drinking reduced a 5-year-old's attention span compared to their counterparts. "Our findings show that low to moderate drinking is not associated with adverse effects on the children aged five," Kesmodel said. That doesn't mean doctors are ready to advise pregnant women to drink. "These findings can easily send a very dangerous message to pregnant women," Dr. Bruce Goldman, director of Substance Abuse Services at the Zucker Hillside Hospital in Glen Oaks, N.Y., told HealthDay. "Women may underestimate and have difficulty acknowledging the frequency or quantity of alcohol consumed. Those suffering from alcoholism may attempt to rationalize that it is safe to drink moderately, something they may ultimately be unable to do," he said. The studies were funded primarily by the Centers for Disease Control and Prevention in the United States. The CDC urges pregnant women not to drink alcohol at any time during pregnancy and says there is no known safe amount or safe kind of alcohol. "This study does not change our recommendation," Dr. Jacquelyn Bertrand, a child psychologist and senior scientist at the National Center on Birth Defects and Developmental Disabilities at the CDC, who co-authored three of the studies, told HealthPop. Bertand said women should keep in mind this was one particular set of women in one particular place, and the studies did not look at other potential health effects in a child whose mother drank during pregnancy. More studies would be needed on a variety of populations, testing other measures of neurodevelopment at different ages to find out more about how alcohol during pregnancy affects a child's development. "We have a long history that alcohol causes birth defects," said Bertrand, saying low levels of drinking have been tied to risk for miscarriage, premature birth or stillbirth. "Drinking during pregnancy is just not worth the risk." In the U.S., about 12 percent of pregnant women report alcohol use during pregnancy, and less than 2 percent said they engaged in binge drinking during pregnancy. 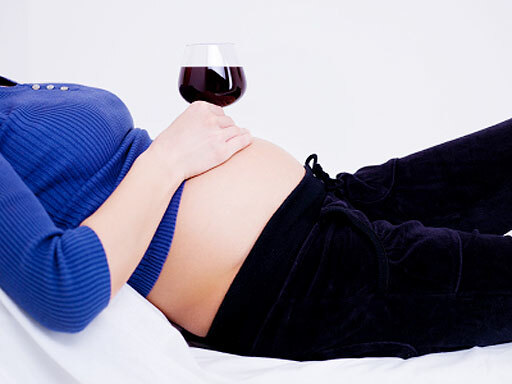 The CDC has more on alcohol during pregnancy.